1. Features of LG G8 ThinQ has Chipset of Qualcomm SDM855 Snapdragon 855 (7 nm). 2. This LG Model has contains five Network Technology there are GSM,CDMA,HSPA,EVDO and LTE. 3. They have contains 3 brands there are 2G bands is GSM 850 / 900 / 1800 / 1900 - SIM 1 & SIM 2 (dual-SIM model only), 3G bands is HSDPA 850 / 900 / 1900 / 2100,CDMA2000 1xEV-DO - Sprint, Verison and 4G bands is LTE band 2(1900), 3(1800), 4(1700/2100), 5(850), 7(2600), 13(700), 20(800), 28(700), 46, 48, 66(1700/2100) - Verison. 4. Speed is HSPA 42.2/5.76 Mbps, LTE-A Cat19 1600/150 Mbps and this modal contains both GPRS and EDGE. 5. They have the dimensions is 151.9 x 71.8 x 8.4 mm (5.98 x 2.83 x 0.33 in) and weight is 167 g (5.89 oz). 6. Sim Type is Single SIM (Nano-SIM) or Hybrid Dual SIM (Nano-SIM, dual stand-by) and it contains IP68 dust/water proof (up to 1.5m for 30 mins), MIL-STD-810G compliant. 7. LG G8 ThinQ has the display type of P-OLED capacitive touchscreen, 16M colors. 8. This model has a size of 6.1 inches, 91.0 cm2 (~83.5% screen-to-body ratio). 9. It has the Resolution of 1440 x 3120 pixels, 19.5:9 ratio (~564 ppi density). 10. LG G8 ThinQ has the OS of Android 9.0 (Pie) with LG UX 8.0. 11. CPU Model is Octa-core (1x2.84 GHz Kryo 485 & 3x2.42 GHz Kryo 485 & 4x1.79 GHz Kryo 485) and GPU is Adreno 640. 12. Memory slots are Internals have 128 GB, 6 GB RAM, and Card Slot is microSD, up to 512 GB (dedicated slot) - single-SIM model,microSD, up to 512 GB (uses SIM 2 slot) - dual-SIM model. 13. LG G8 ThinQ has the Main Camera Feature is LED flash, HDR, panorama and Selfie Camera Feature is HDR. 14. Main Camera(Dual or Triple) Video Capacity is 2160p@30/60fps, 1080p@30/60fps, 720p@240fps, HDR10, 24-bit/192kHz stereo sound rec. and Selfie Camera(Single) Video Capacity is 2160p@30fps, 1080p@30fps. 15. This LG Model has Active noise cancellation with dedicated mic with 32-bit/192kHz audio, DTS: X Surround Sound. 16. LG G8 ThinQ has Corning Gorilla Glass 5 Protection with 100% DCI-P3, Dolby Vision, HDR10 and Always-on display and Builds is Front glass (Gorilla Glass 5), back glass (Gorilla Glass 6), aluminum frame. 17. This LG Model has Sensors are Face ID, Hand ID, fingerprint (rear-mounted), accelerometer, gyro, proximity, compass, barometer. 18. LG G8 ThinQ has contained Both Loudspeaker and Alert types are Vibration MP3, WAV ringtones but 3.5mm jack is available for this model. 19. USB Port is 3.1, Type-C 1.0 reversible connector, USB On-The-Go. 20. Bluetooth is 5.0, A2DP, LE, aptX HD and WLAN is Wi-Fi 802.11 a/b/g/n/ac, dual-band, Wi-Fi Direct, DLNA, hotspot. 22. Battery type is Non-removable Li-Po 3500 mAh battery with Fast battery charging 21W (Quick Charge 3.0), USB Power Delivery, Wireless charging 9W. 24. This LG Model has LMG820QM7, LM-G820UMB, LMG820UM0, LMG820UM1, LMG820UM2, LM-G820N and Browser Compatibility is HTML5. 25. Color Variants are Platinum Gray, New Aurora Black, New Moroccan Blue, Carmine Red. 26. LG G8 ThinQ will Be Released in 2019, April. 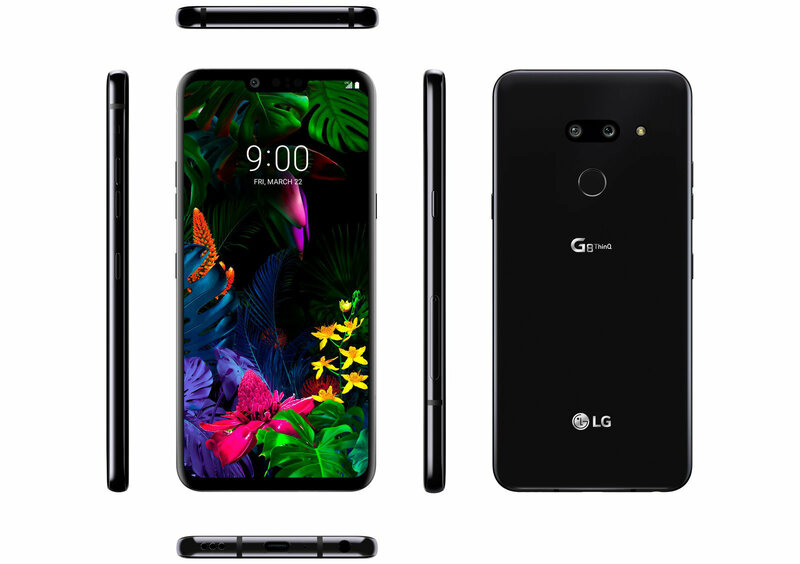 Specifications of LG G8 ThinQ was propelled on Sunday at the Mobile World Congress (MWC) 2019 in Barcelona, nearby the LG G8s ThinQ and the LG V50 ThinQ 5G. The greatest feature highlight of the LG G8 ThinQ and the G8s ThinQ is the presentation of Hand ID - another element that gives palm vein verification. This is empowered by utilization of the ToF (time of flight) Z Camera and infrared sensors, empowering clients to float their hand over the presentation to open their cell phones. Another noteworthy feature of the LG G8 ThinQ is the nearness of a Crystal Sound OLED, which the organization says dispenses with the requirement for a front speaker or an earpiece - however the organization's notable BoomBox Speaker is held at the base, and now equipped for stereo yield. Features of LG G8 ThinQ is additionally MIL-STD 810G evaluated for solidness, and has IP68 residue and water obstruction. As we referenced, the South Korean shopper hardware monster likewise propelled the LG V50 ThinQ 5G, and you can peruse progressively about that cell phone in discrete inclusion. Returning to the ToF Z Camera, it empowered different highlights, for example, Air Motion, which enables clients to reply/end calls, take screen captures, switch applications, and modify volume al with basic motions. The ToF Z Camera empowers better Bokeh just as Video Portrait mode. It likewise empowers increasingly secure 3D-based face acknowledgment that isn't tricked by photos. The LG G8s ThinQ is the less expensive variation of the G8 ThinQ, intended to give G8 ThinQ contributions at a "focused cost." Similarly as with most LG dispatches, the organization has retained some data. The LG G8 ThinQ cost and the LG G8s ThinQ cost have not been uncovered, nor have accessibility. As previously, the South Korean organization will report these subtleties for individual markets nearer to their accessibility. LG has nitty gritty the shading variations of the LG G8 ThinQ however, saying it will be accessible in Carmine Red, New Aurora Black, and New Moroccan Blue. 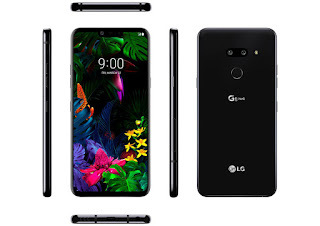 Remarkably, there are two variations of the LG G8 ThinQ, with one highlighting a triple back camera setup and the other including a double back camera setup (presented above) - and will be made accessible relying upon the market. The triple back camera setup comprises of a 12-megapixel essential sensor with a f/1.5 opening, 1.4-micron pixels, and 78-degree focal point; a 16-megapixel 107-degree overly wide-edge focal point with a f/1.9 gap and a 1-micron pixel sensor, lastly, a third 12-megapixel 45-degree zooming focal point with a f/2.4 gap and a 1-micron pixel sensor. On the model with a double back camera setup, LG has inevitable the zooming focal point, with the other two cameras (excessively wide-edge and essential) continuing as before as the triple camera advertising. On the front, the LG G8 ThinQ bears a 8-megapixel self-adjust camera with a f/1.7aperture, 1.22-micron pixels, and a 80-degree focal point. There is likewise a ToF Z Camera, which as we referenced is joined with infrared sensors to empower Hand ID palm vein confirmation. There is additionally face open, aside from a unique finger impression sensor on the back board. There 128GB of inbuilt stockpiling, expandable by means of microSD card (up to 2TB). Availability alternatives on the LG G8 ThinQ incorporate 4G VoLTE, Wi-Fi 802.11 a/b/g/n/air conditioning, Bluetooth v5.0, NFC, FM radio, and USB Type-C (v3.1). The cell phone is fueled by a 3,500mAh battery, and supports Quick Charge 3.0 innovation. It quantifies 151.9x71.8x8.4mm and weighs 167 grams. The organization has likewise incorporated a 32-bit Hi-Fi Quad DAC, including that the G8 ThinQ bolsters DTS:X 3D Surround Sound. Obviously the more moderate variation of the two, with a full-HD+ show rather than a quad-HD+ one, the LG G8s ThinQ sadly doesn't have such a large number of details uncovered. This is what LG has unveiled - it sports a 6.2-inch full-HD+ (1080x2248 pixels show) with a 18.7:9 viewpoint proportion, is fueled by the Qualcomm Snapdragon 855 SoC combined with 6GB of RAM. Concerning optics, the LG G8s ThinQ bears a conditioned down triple back camera setup, with a 12-megapixel essential sensor, a 13-megapixel wide-point sensor, and a 12-megapixel zooming focal point. On the front, it bears a 8-megapixel sensor, combined with the ToF Z Camera, therefore empowering the Hand ID, Air Motion, and Face Unlock highlights. It ships with 64GB or 128GB of inbuilt stockpiling, not expandable by means of microSD card. It keeps running on a 3,550mAh battery. 4.High Speed Better Camera List. 6.Top 10 Tips for Choosing the Best Wi-Fi Router. Video 2160p@30/60fps, 1080p@30/60fps, 720p@240fps, HDR10, 24-bit/192kHz stereo sound rec.